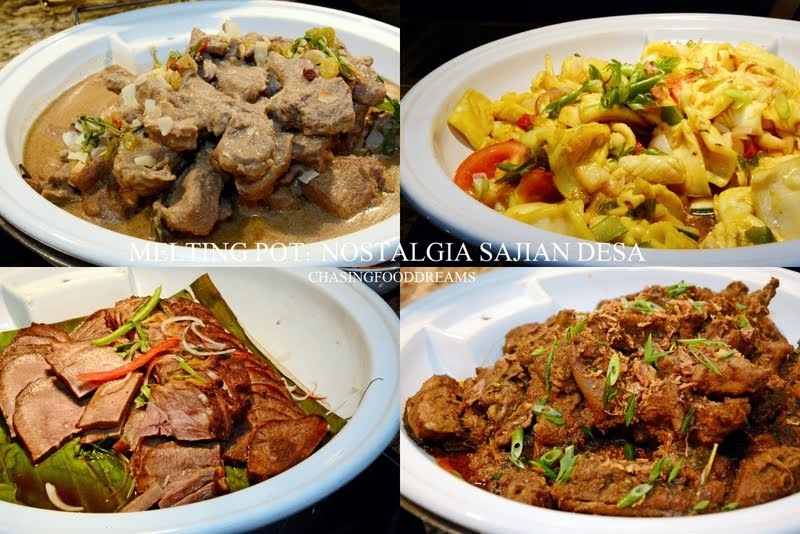 Our fourth Buka Puasa feast brought us to one the very best Ramadhan feasts this year. 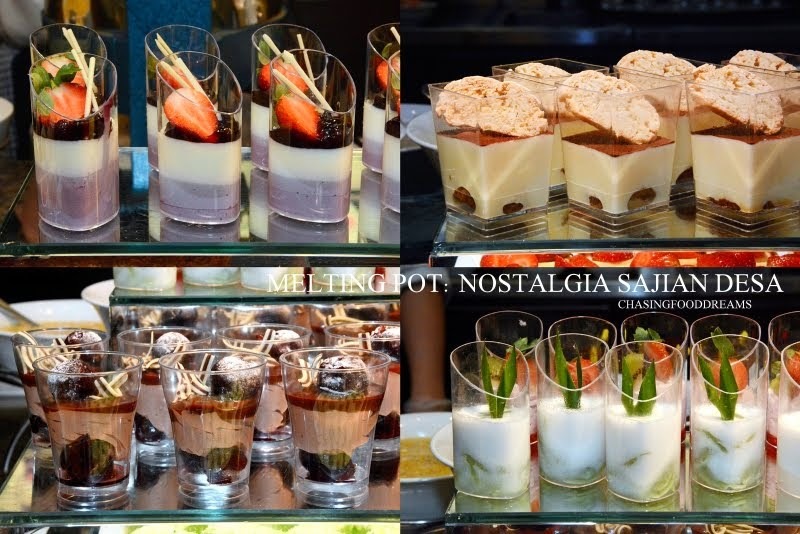 Melting Pot Café at Concorde Hotel Kuala Lumpur has always been a famous hotspot for buffet for many. 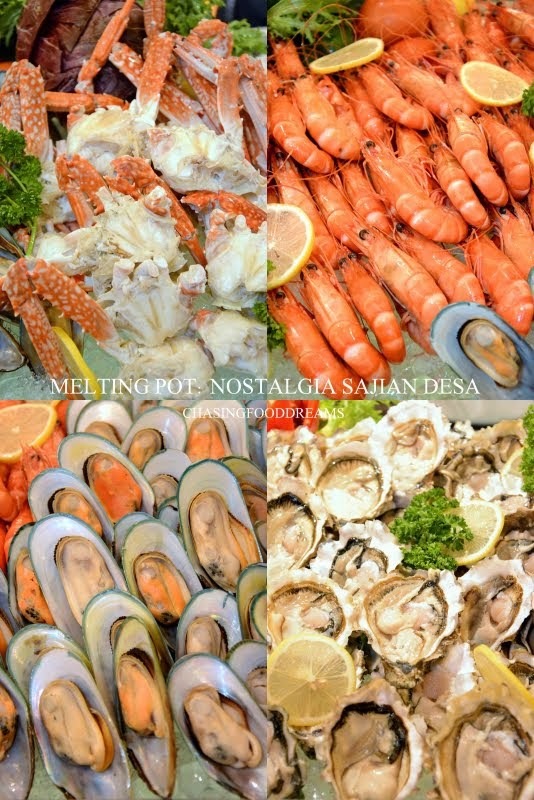 This holy month, Concorde Hotel Kuala Lumpur is all set to impress with its perennial delicacies of kampong dishes at Melting Pot Café and Concorde Ballroom from June 29 till July 27, 2014. 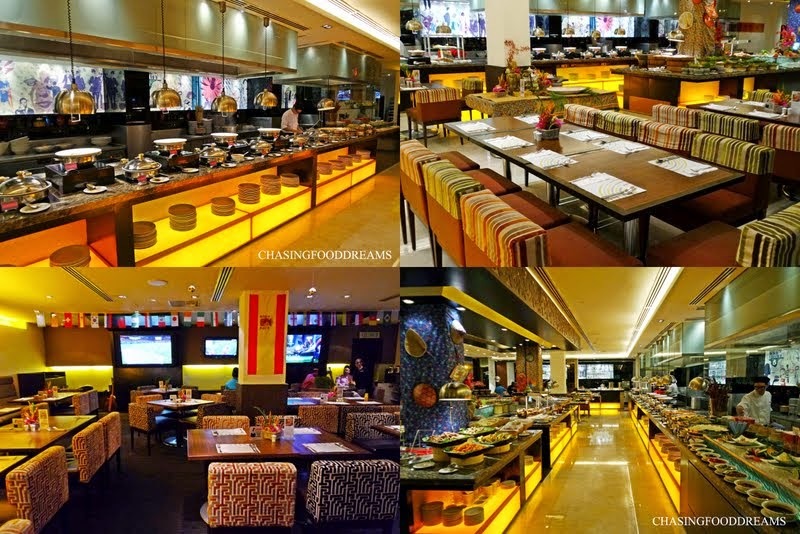 Take you pick and check out the two different venues exuding two different dining experiences at Concorde Hotel Kuala Lumpur. 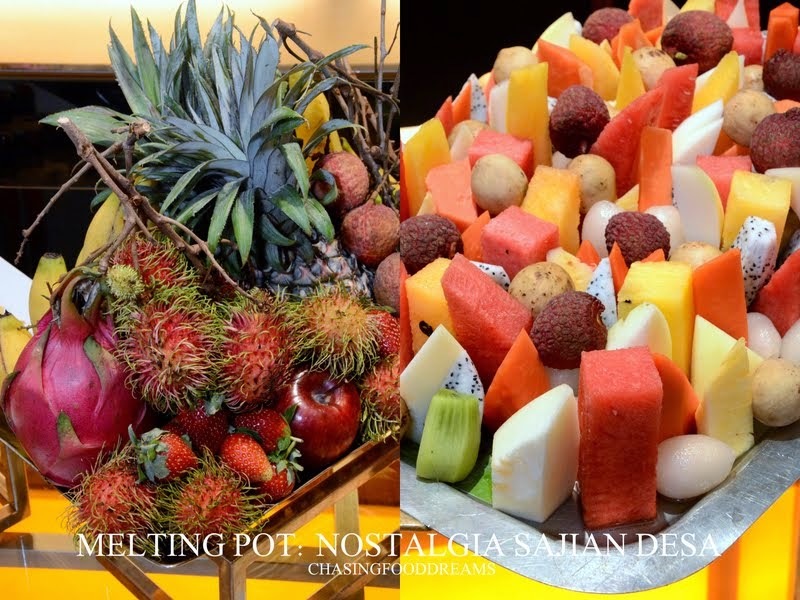 Melting Pot Café offers cozy dining and is ideal for breaking fast in a smaller party whereas Concorde Ballroom with its kampung setting, offers live action hawker stalls, kawah display among its wide spread of dishes, perfect for big groups or corporate companies. 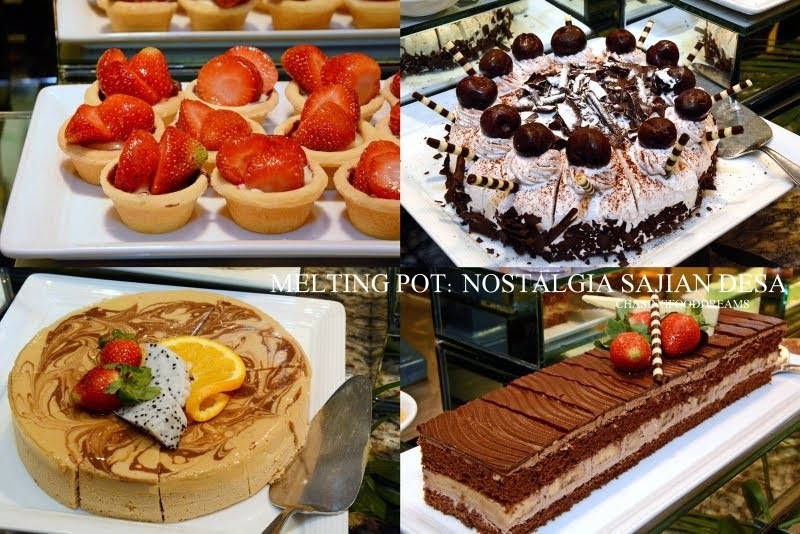 Our preview that evening was lovely as the Melting Pot Café is warm and cozy. Various seating sections are cleverly sectioned off for more privacy. 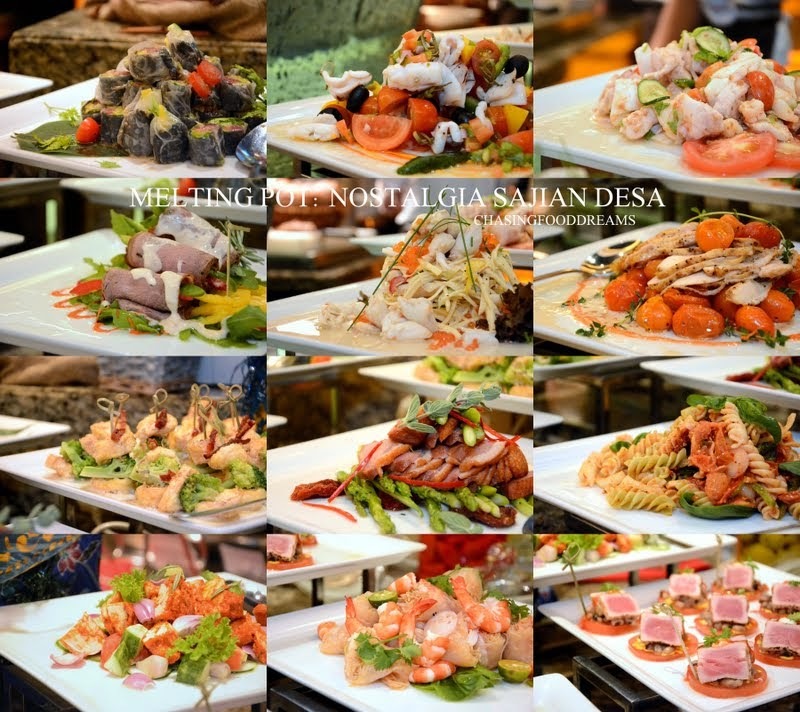 The buffet spread is endless and each platter offers beautiful presentation. 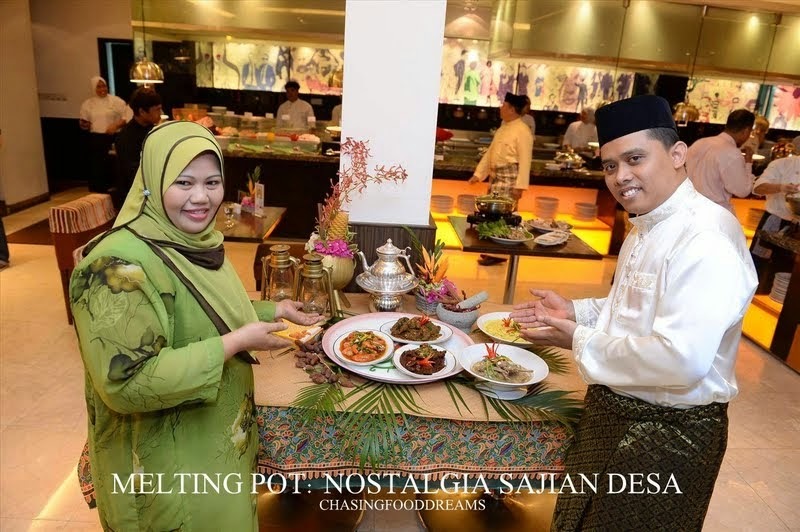 The kampung-style dishes are whipped up by chef de partie, Chef Rogayah Sharif and Chef Mohd Ridzuan. The chefs and kitchen team made sure diners are enjoying a feast of kampung favorites and offers a wide spread of various dishes. Be entertained while dining with a local favorite Ghazal bad, Balle Balle! There is even live music by Bergema 5 strollers at Melting Pot Café that entertain requests for music. A power Sup Gear Box & Urat Keting, a fiery Tom Yam Seafood or a soothing Bubur Lambuk is perfect to start the meal. These will whet the appetite and provide a hot and soothing start for the main feast to come. Visit the must-have Whole Roast Lamb stuffed with Briyani Rice for succulent tender pieces of lamb nicely spiced up. 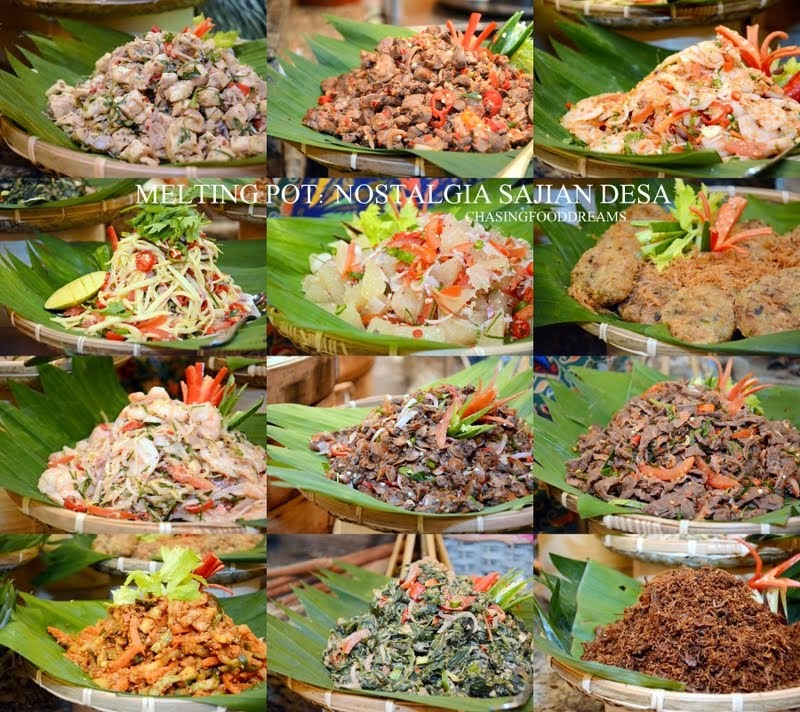 Then head over to the Kerabu Station where more than 10 varieties of Kerabu hits all the flavor station of spicy, savory, sweet and sour. The Kerabus available are Kerabu Udang Thai, Kerabu Mangga, Kerabu Isi Kerang, Kerabu Ayam Berkerisik, Kerabu Pucuk Ubi, Kerabu Udang, Kerabu Hati, Kerabu Limau Bali, Bergedil Ayam Campur Kentang and more. The usual Ulam Ulam Kampung, Sambals, Telur Masin, Ikan Masin, Telur Ikan Goreng, Jelatah Harian and Acar Rampai are also present. Make sure to enjoy these with crispy crackers of Kerepek Pisang, Kerepek Ubi Pedas, Keropok Ikan, Spicy Papadam with the Kerabu and Ulam. The cold appetizer station was impressive too, featuring over 12 choices of cold platters of Summer Roll, Tandoori Spiced Chicken Galantine, Smoked Duck Breast with Mango and Asparagus, Thai Seafood Salad, Roasted Tomato and Pasta, Salad with Pesto, Crab Salad with Green Mango, Roasted Cherry Tomato and Chicken, Shrimp and Rice Noodle Salad, Roast Beef and Spinach Salad with Horseradish Cream, Seared Tuna with White Bean, Grilled Tofu with Broccoli and Sesame Dressing, Calamari Salad with Salsa Verde and more. Main courses is equally impressive as the spread has luscious Malay dishes kept in claypots and small kawahs with heating lamps to keep the dishes warm and delicious. 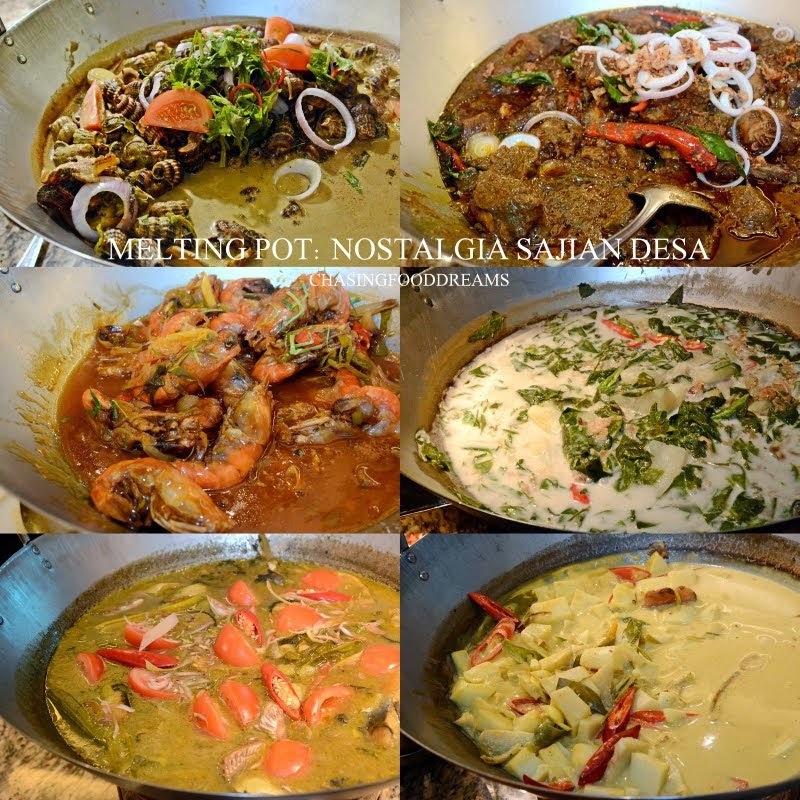 The signatures of the chefs consist of Ayam Kerutub, Rendang Ayam Pencen, Gulai Ikan Puyu, Lamb Chop Kurma, Daging Salai Masak Lemak Belimbing, Udang Galah Tiga Rasa, Umbut Kelapa Masak Lemak Putih and Siput Sedut Daun Selasih. 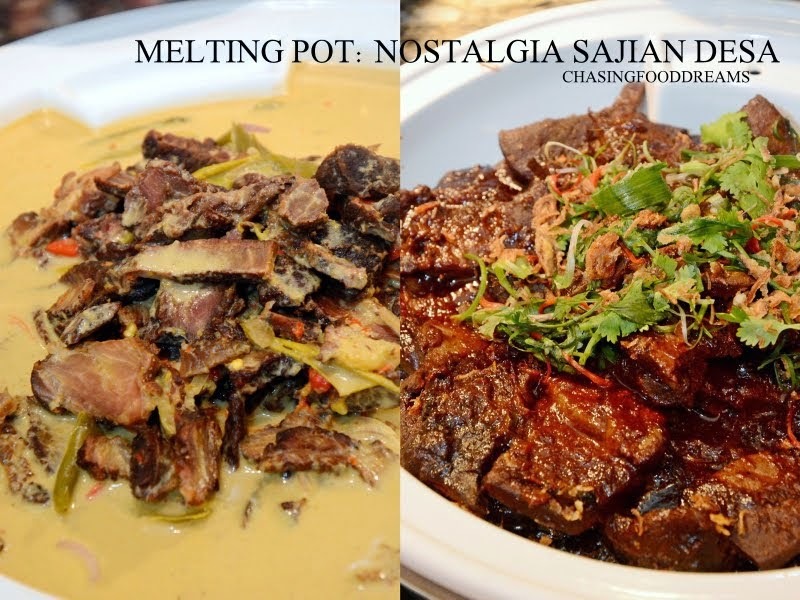 The list goes on with more dishes of Kari Kepala Ikan, Sotong Goreng Kunyit, Ikan Patin Masak Tempoyak, Hati Lembu Masak HItam Manis, Pucuk Manis dengan Keledek, Batang Keladi Masak Asam, Lidah Lembu Bakar Air Asam, Nasi Briyani Kambing, Nasi Ulam and more. Dishes rotate on daily basis. Noodle station offered Laksa and Soto Ayam that day while another live station had fresh Roti John, Murtabak and Popiah Basah. The Fried Station showcased Crispy Samosa, Popiah Goreng, Crispy Vegetable Fritter and Prawn Tempura. I enjoyed the Teppan Theatre tremendously with its array of Prawns, Chicken, Salmon, Beef, Squid and Vegetables cook-to-order! 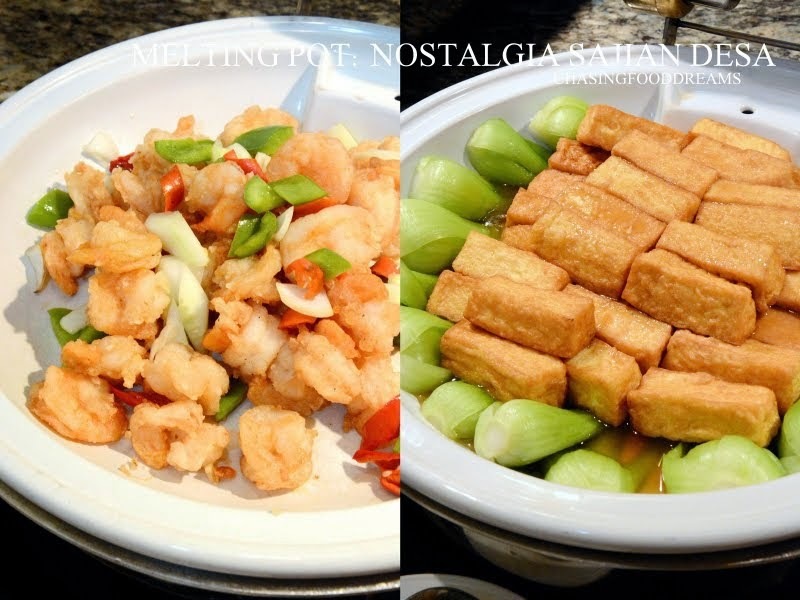 Other international dishes available are Wok-Fried Baby French Beans with Spicy Conpoy Sauce, Stir-Fried Prawn with Sweet and Sour Sauce, Homemade Beancurd with Oriental Greens, Steamed Fish with Ginger, Kai Lan with Chili and Salted Fish and Dim Sum. Though it’s hard to resist all the tempting savory dishes, I do highly recommend that one saves some room for dessert. 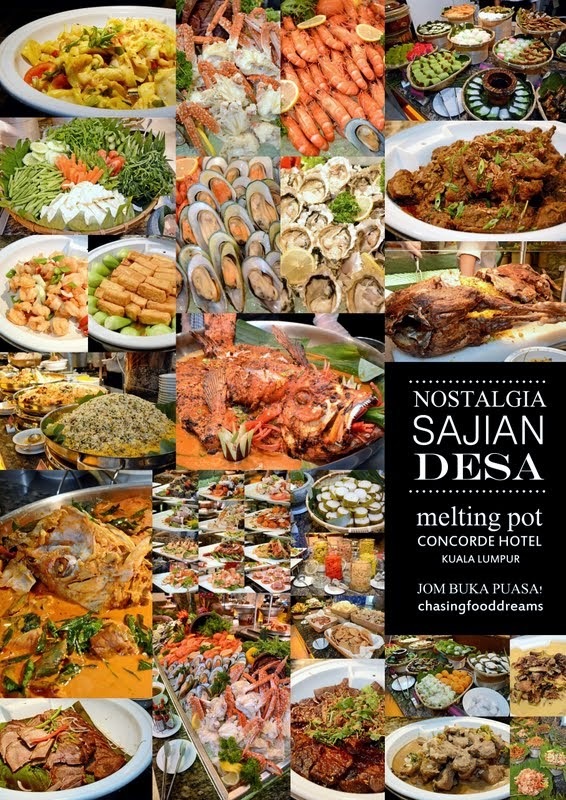 The spread features lots of Malay desserts together with international favorites. 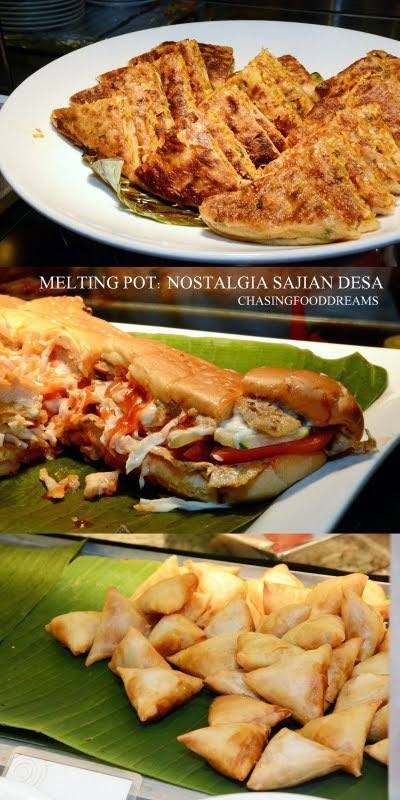 Assorted Malay Kuihs on the menu are Kuih Lompat Tikam, Tepung Bungkus, Kuih Ketayap, Kuih Badak Berendam, Kuih Kosui, Kuih Onde-Onde, Kuih Puteri Mando, Kuih Tepung Pelita, Kuih Lompang, Kuih Seri Muka and Kuih Lapis Cucur Badak. Sweet hot desserts like Bubur Pulut Hitam, Bubur Jagung and Bubur Kacang Hijau are also available together with cold Sago Gula Melaka, Tab Tim Krob and Cream Caramel. Live dessert station has Ais Kacang Campur, Apam Balik and Ice Creams. International desserts includes Dark Chocolate Mousse with Cherry, Tiramisu, Cream Brulee, Mango Bavarios Alfonso, Banana Toffee Crumble, Strawberry Cream with Jelly, Vanilla and Cassis Panna Cotta, Mango Fruit Tarlets, Strawberry and Blueberry Tarlets, Chocolate Éclair, Peanut Butter Almond Slice, Chocolate Cheese Brownies, Opera Cake, Banana Chocolate Cake, Cheese Cake, Vanilla Madelines, Green Tea Financier, Chocolate Fountain and more. There is also a special Buffet Supper and Steamboat available for waktu Sahur. Corporate companies who wish to make group bookings can enjoy cosy dining right here. Promotion at the Ballroom starts on July 7 onwards. For reservations, call Hasrul at tel: 03 2717 2233 or 03 2144 2299 extn 2337.